In 1960, the Sisters of the Order of St. Benedict purchased a rolling glacial moraine in Maplewood as site for a college and retirement home. 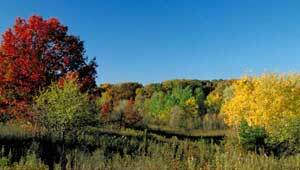 Dotted with wetlands and part of a chain of lakes stretching from the Twin Cities to the Mississippi River, the land was an important watershed. For four decades the land remained open as Maplewood expanded and developers sought to purchase the property. Torn between protecting their retirement fund and conserving the area's natural beauty, the order sought help from TPL. A citizen committee identified the property as a priority acquisition for the Maplewood Open Space Program and TPL helped the community raise local funds to protect the land.